As a business, we all want more - more sales, more profits, right? But in order to be successful in today's online business environment, you need consistent traffic to your website. One major source of traffic is Google, and to have streams of traffic from Google, you need to rank high in the search results. But the opposite is also true, a drop in rankings will lead to a loss of traffic. Consequently, you lose business, revenue and profits. 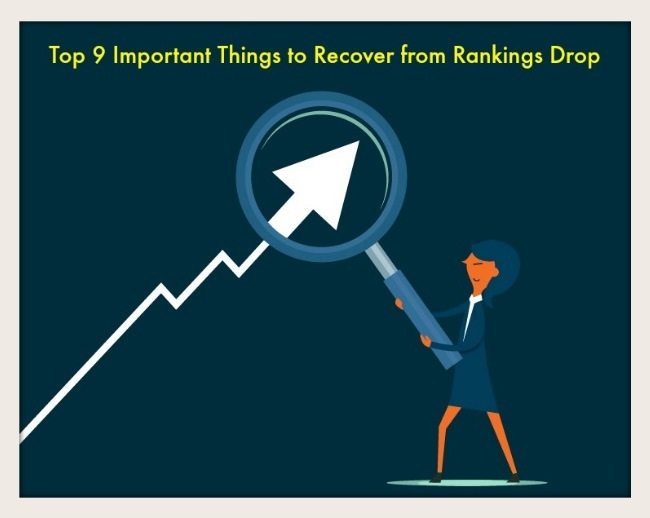 There are many reasons why you might have a drop in rankings. Use a tool such as majestic to determine the lost links on your website in the last 90 days. Once you have identified the lost links, you can either remove them or replace them. A long-term solution is to invest in a link monitoring software. Thus, you can identify the broken links and take corrective measures before they affect your rankings. While this won't lower your search engine rankings, Google will penalize your website if you are using that duplicate content to manipulate rankings and increase traffic. Usually, they will remove your site from their index so that it will no longer appear in search results. These are your title tags, headers and meta descriptions. However, the title tag is the most important factor that will raise your SEO rankings. Thus, make sure consistent when you provide your meta information. For example, anytime you change the date of a blog post on your site, ensure that you make similar changes in the meta description. Also, avoid meaningless words in your title tags or duplicate your meta information. Rather, include your target keyword in your title tags. One major cause of a downtime is a sudden spike in traffic. If you are on a shared server and someone else experiences a sudden spike in traffic (probably because he was featured on a popular site), all sites on the shared server will experience a downtime. Also, if you exceed your bandwidth limits, your hosting package will take down your site. The best solution is to be on a private server. But if you find that option very expensive, you can increase your bandwidth as your site becomes older and more popular. Am sure you don't want to lose your rankings and traffic just because you decide to redesign your website. If you have broken redirects when you make any structural changes to your site, migrate to a new server or launch a new website, your site's rankings will drop. A simple and effective solution is to update your canonical tags, XML sitemaps when you use a 301-redirect. Hence, search engines will index your old and new web addressing preventing any loss in rankings. Ensure that all the inbound links on your new site are working properly by checking the link structure. If you plan your redesign project carefully and pay attention to the important traffic elements, not only will you avoid losing your rankings, you will even make improvements. Check your google search console of the past 90 days to determine your click-through rate. If your bounce rate is high, your rankings will drop. When people click through your site but leave quickly, you will have a high bounce rate. Web visitors usually leave a website quickly mainly because your content isn't suitable for them. • Ensure your site loads quickly. • Uninstall a popup or any plugin you may have recently added. This is also applicable to themes. • Revert your page titles to the previous ones. If you're doing everything right but still having a drop in rankings and traffic, your competition may have found a way to outrank you. To prevent this from happening, analyze and monitor your competitor's content marketing strategies, link building strategies and social media activities. You can view changes your competition has made by using tools such as Wayback machine. Better the changes your competitors have made to outrank. An abrupt drop in your website rankings could be an indication that Google is manually penalizing your website. A manual penalty is applied by a Google staff; it is not the result of an algorithmic update. It is highly likely that your site is being manually penalized provided it continues to rank in other search engines such as Bing. Once you are sure you are dealing with a manual penalty, check your Google search console account for any notification from Google. These notifications are usually available in manual actions section and under the messages menu. In these notifications, you will find the pages on your website that are not in compliance with Google's guidelines. You will also discover the actions you can take to make the right changes. Google always make algorithm changes to improve strategies and results. These usually hurt the rankings of most sites. The best way to avoid low rankings due to Google's algorithm changes is to avoid depending on SEO ranking as your only source of traffic. Use other marketing channels such as social media and even paid ads to boost your content. Apart from algorithm change, Google sometimes use user behavior to change the type of results being displayed in its search engine. For example, Google may push down static content and bring up fresh content in the search results. Thus, if you have static content, you might experience a drop in ranking. In sum: avoiding a rank drop is actually fairly simple when you apply the above nine tips. Don't use black hat strategies to recover from rankings drop, you will suffer the negative consequences. So get to implementing the above tips – you’re going to be glad you did! Author bio: Ayushi Choudhary is a Jr. 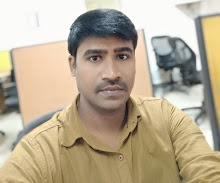 Content writer working with Ranking by SEO. In her corporate life she write many blogs and articles on SEO, Link building, SMO and many more.